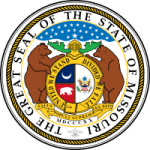 The child support laws in Missouri provide relevant and set rules on how the judges and child support agencies in the state should handle child support related cases. They provide rulings on different cases that may arise in case of disputes. These rulings offer a solution for the courts to make a decision depending on the type of case presented to them on child support.